I wanted to make an orange colored seasonal cocktail that wasn’t your typical bourbon, apple and cinnamon safe concoction. 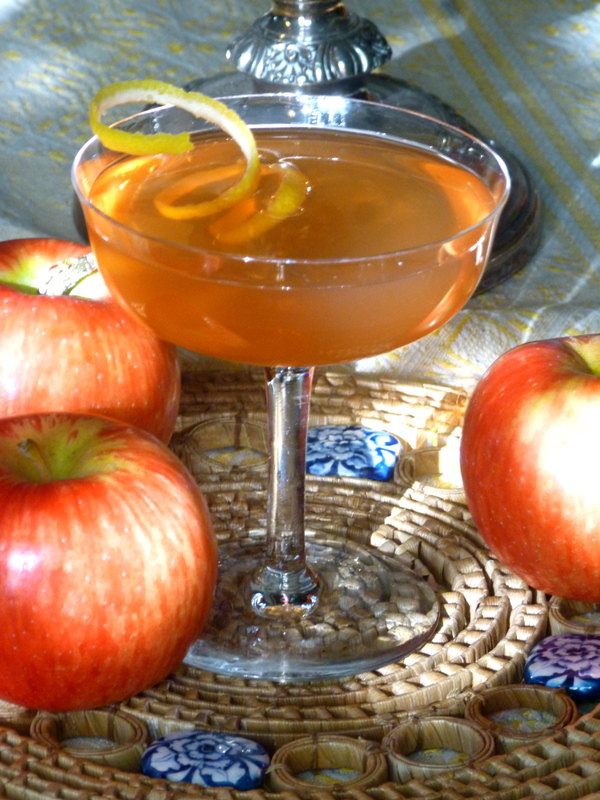 This cocktail has apple, cinnamon flavors but they are experienced in a completely different way. It’s light, delicate and crisp. To me; Vida Mezcal has distinct flavors of cinnamon, honey, ginger, citrus, and a hint of smoked peppers. Toped with Lustau Palo Cortado Sherry that brings out apricot, smoked orange and date notes. Each flavor is balanced by the crisp dryness in apples and kiwi’s add a layer of surprise. Muddle apple and kiwi slices with Barenjager Honey Liqueur in the bottom of a beaker. Add remaining ingredients and ice. Stir. Fine strain into a chilled coupe glass. Garnish with a lemon twist.